Posted January 5, 2017 & filed under Additional Articles, On Home Page. Posted November 7, 2016 & filed under Additional Articles, On Home Page. Posted November 5, 2016 & filed under Additional Articles, On Home Page. Posted November 3, 2016 & filed under Additional Articles, On Home Page. Posted October 6, 2016 & filed under Additional Articles, On Home Page. Posted & filed under Additional Articles, On Home Page. Posted September 26, 2016 & filed under Additional Articles, On Home Page. Posted September 15, 2016 & filed under Additional Articles, On Home Page. Posted September 6, 2016 & filed under Additional Articles, On Home Page. Posted August 31, 2016 & filed under Additional Articles, On Home Page. Accuracy in Media and the CCB are taking the lead in reporting the truth about Benghazi that even Republicans on the Hill won’t touch. We are doing the real work of interviewing witnesses, collecting documents, and finding out the facts—why it happened, how it happened and why it was covered up. In order to proceed with our investigation, we must have your help. 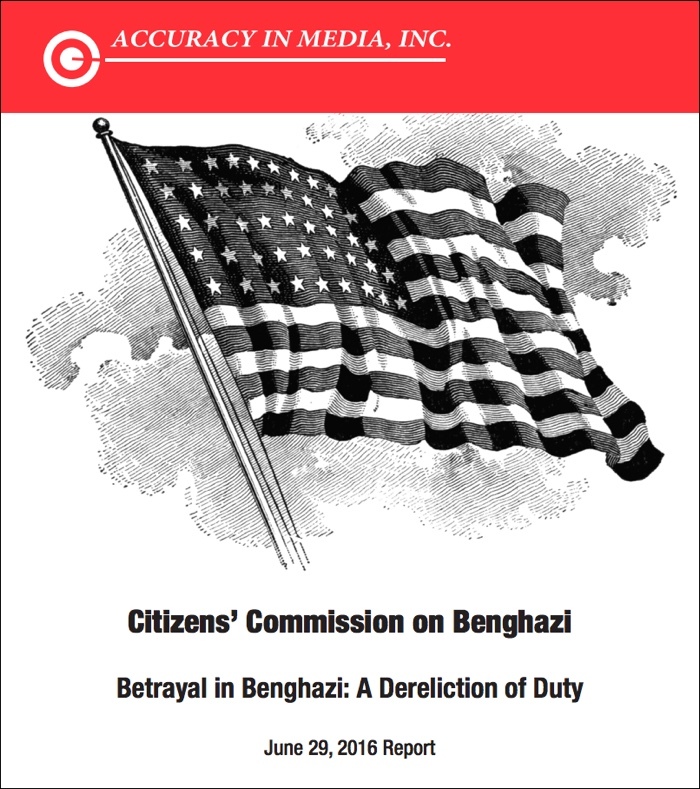 Please donate to Accuracy in Media today to shine the light of truth on this issue and end the Benghazi cover-up.